Get the kids ready for warm weather with Journey's selection of flip flops and sandals. These sandals and flip flops are perfect for warm or cold weather. 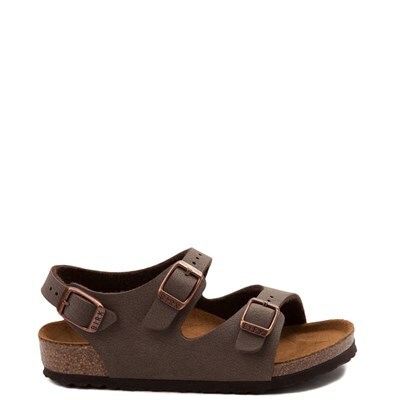 Their ease of use and comfort make sandals a footwear necessity. Your child will look cute in a new pair of sandals or flip flops from brands like Birkenstock, NIke, Rainbow, Crocs, Polo Ralph Lauren and many more.